Recently I’ve been buying quite a few Tintin books – mainly I am prepared to admit because I found that Kingdom Books and Stationery, a local store associated more with the latter than the former seems to have got a stock of them which are truly selling at a bargain price! And let’s face it, though I have been rationing my visits, I just can’t resist. Over the years I’ve had many different editions of Tintin books, and I am not sure where they all are now. Some fell apart from overuse, others got lent out, others were borrowed and never returned. I certainly remember reading some in French, and maybe even as they were being issued in serialized form – or is this just a fake memory? It is possible, as I did live in Belgium when I was young, but I really can’t be sure, and there isn’t anyone I can ask to confirm or deny. I am fairly certain that we had lots of the Tintin books – in English – which I read, and laughed at, as did my sister, and later my brother, whose main reading for many years, was anything in comic form! We loved Captain Haddock’s swear words – which sounded horrible, but were very funny because of their alliteration – even in a translation. When I first started working at the Ghana Library Board in the Ashanti Regional Library (Kumasi) in late 1980, I was thrilled to see that there were Tintin books in the children’s section – to which I had been assigned! And amazed at just how popular they were – with the children of all ages, and their parents, who practically begged to be allowed to borrow them. I suppose it is the appeal of the colour, the style, the stories, the fact that the good guys usually win, and the bad ones do get defeated which gave them such a widespread appeal. Even those whose level of English wasn’t so great would sit entranced looking at the pictures, and explaining to others what was going on. 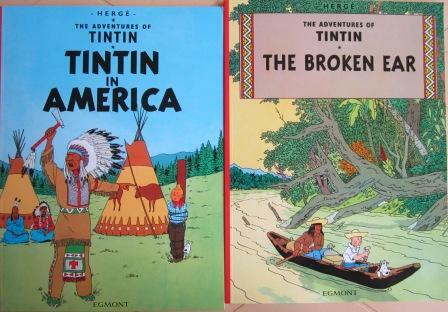 Surprisingly the Tintin series aren’t that well known in the US. Recently I asked a shop assistant in one of the big chains and he hadn’t heard of them; another had but wasn’t aware that Stephen Spielberg’s film, The adventures of Tintin was coming out just before Christmas. 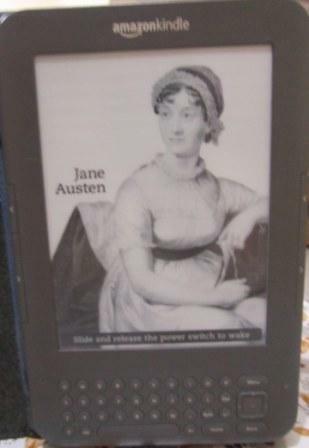 But in the way of marketing to US audiences, I am sure that movie tie-in books will soon be hitting the shelves. In the meantime, I will continue to add to my current collection, and re-read these books which I first enjoyed more than fifty years ago! And chuckle as I do so. And of course take a look at one of the Tintin fan websites, and follow a Tintin blogger. The Man Booker longlist for 2011 has just been announced; thanks to my fellow blogger, Nana Fredua Agyeman of Imagenations for alerting me to this. 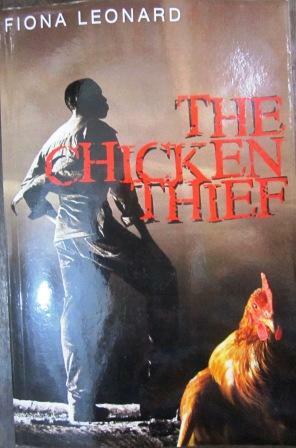 No Africans on the list, which is sad, BUT there are Ghanaian connections to two of the novels, which is unusual, to put it mildly. 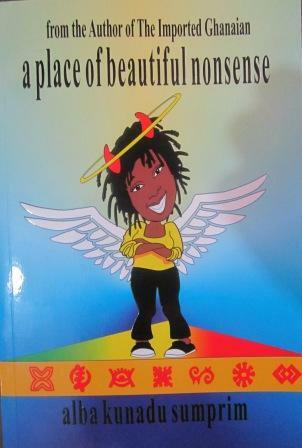 The other Ghana connection is with Canadian author Esi Edugyan, whose parents were immigrants from Ghana. Although her longlisted book, Half blood blues, is a story of Germany, of music and of betrayal, it is interesting to note that her first book, The second life of Samuel Tyne, is a gothic story focussed on the family of an emigrant from – guess where? Ghana of course. Kelman’s book was already on one of my wish lists, and I am happy to say that I have added both of Edugyan’s novels. So not exactly Ghanaian authors living and working in Ghana, but the connections to this country do keep coming up… Long let them do so! I am sure this will not be real news to many of those who follow this blog, but on Monday 11 July in the evening, the winner of the 2011 Caine Prize for African Writing was announced. She is NoViolet Bulawayo, and her short story is “Hitting Budapest”. Congratulations to the winner! And for those who still haven’t read the shortlisted stories, they are available on the Caine Prize website. For more information see Africa Book Club and Books Live. If you want your short stories in hard copy form, see The Caine Prize for African Writing 2011, which is available from New Internationalist or other retailers.